Elizabeth's name is always associated with that of her younger and more attractive cousin and rival for the throne. 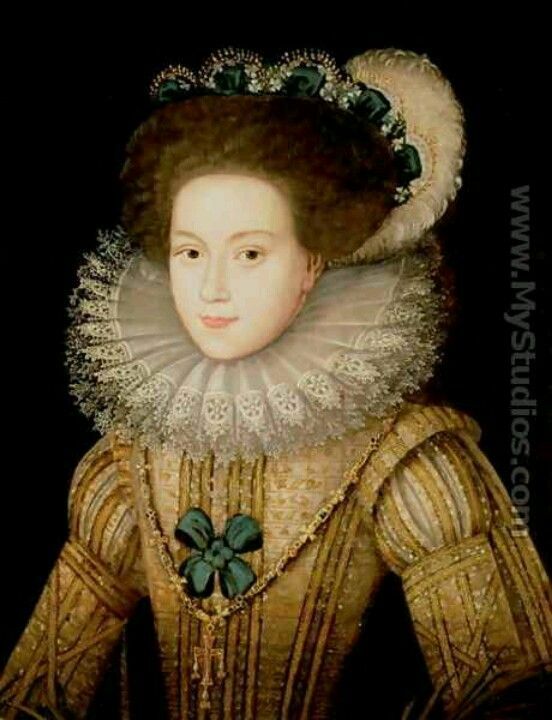 Mary Stuart, the "Queen of Scots" who for years created complications for Elizabethan England. Queen of Scotland in her own name since babyhood, temporarily queen consort of France, and, as great-granddaughter of Henry VII, enjoying a title to the English throne almost as good as Elizabeth's, Mary was in a powerful position. Tall, with an exquisite pale skin and beautiful dark-brown eyes and hair, Mary had a feminine charm so irresistible that she is ranked as one of the most fascinating women of history. Passion and impulse, however, led her to throw away her many advantages and to be at times incredibly foolish. Her cold English cousin, with her masculine mind, sacrificed the woman to the queen; Mary sacrificed the queen to the woman every time. So it was that eventually Mary lost her life at Elizabeth's order.